Updated Tuesday March 20, 2018 by Nordonia Hills Athletic Association. This is mandatory and must be completed prior to your first practice. No practices or games can be played without an accredited concussion certified adult on hand. These certificates are also required to be on person for at least one of the on-field or dugout assistants at each practice/game. 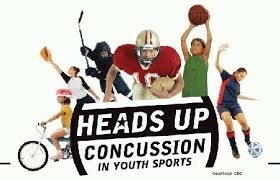 Starting April 26th, 2013, coaches, referees, or officials must remove an athlete exhibiting the signs and symptoms of a concussion during practice or a game. These include: Appears dazed or stunned. Is confused about assignment or position. Forgets plays. Is unsure of game, score or opponent. Moves clumsily. Answers questions slowly. Loses consciousness (even briefly). Shows behavior or personality changes (irritability, sadness, nervousness, feeling more emotional). Can’t recall events before or after hit or fall. Any headache or “pressure” in head. (How badly it hurts does not matter.) Nausea or vomiting. Balance problems or dizziness. Double or blurry vision. Sensitivity to light and/or noise Feeling sluggish, hazy, foggy or groggy. Concentration or memory problems. Confusion. Does not “feel right.” Trouble falling asleep. Sleeping more or less than usual. The athlete cannot return to play on the same day that he or she is removed. The athlete is not permitted to return to play until they have been assessed and receive written clearance by a physician or by any other licensed health care provider approved by the youth sports organization. It is important to review your organization’s policy regarding which health care providers are authorized to clear an athlete to return-to-play.